To Use in Paper Casting. I bought this $2.99 bag of plastic beads tonight because they had these really nice floral shapes in there too. I thought I could make some nice molds with them for paper casting. Well, I've been messing around with them all night long. 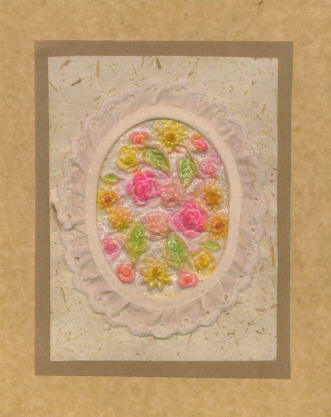 I made a mold out of each of the pretty floral beads by pressing the bead into polymer clay. Then I thought, If I could just mount those pretty beads it would make it so easy to make more elaborate molds with more than one design on them. You know. 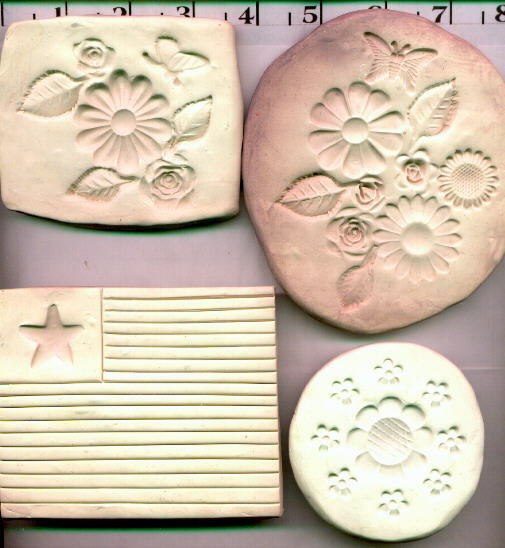 Kind of make the bead into a plastic stamp with a handle on it to make it easy to stamp the clay with. Bead Stampers for Making Papercasting Molds. So, I made a clay roll the width of a dime for each of the floral beads about 2 1/2" long and pushed each floral bead onto the end of a roll/handle. 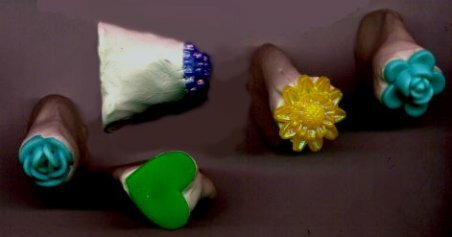 You have to kind of work with it so that the clay does'nt overlap the pretty part of your bead or button. 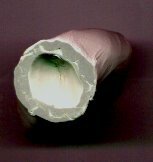 And then once you have the pretty end just right and secured you can work the rest of the clay roll into a handle that suits you. Make sure you have your tray on the bottom shelf of your oven. The first time I did them I melted my beads. So the second time I baked them in the oven at 275% for 12 minutes. I kind of made the handle part into a stand so that the bead would be facing straight up in the air. If you only have one of a certain bead or button and would rather not take the chance of melting it. 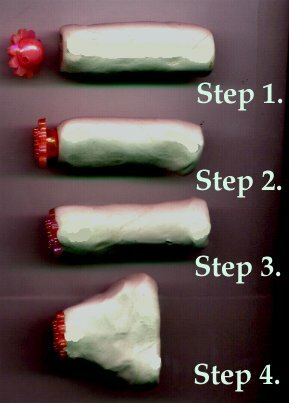 Try just baking the handle part by, working a roll of clay into what you would like your handle to be and then before you put it in the oven just take the back part of your bead/button and pushing it onto where you would like to glue it on after the handle is baked. By doing this you are making an impression of the back of your bead/button on your handle which makes for a nice snug fit for when you will be glueing it on with crazy glue. back of your bead/button on it. to see what I made with one of my more elaborate molds.